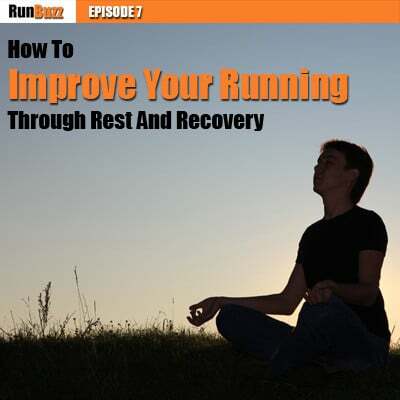 In this episode I answer a listener question from the RunBuzz Facebook group on the topic of rest and recovery. How many days in a row should I be running? How often should I take a rest day? Do rest days mean rest from running or rest from extra exercise? These questions all have such “it depends” answers that I feel it’s necessary to devote an entire episode to answering them. Questions on rest and recovery are probably one of the top things I’m asked about, and, to be honest, the answers really rely on the individual runner. They depend on what goals you have, where your running experience lies, and what types of workouts you’re doing. To really answer these questions, we have to look at all the various factors that influence the answers from one runner to another. The importance of rest and recovery to your running performance. What it means to rest. How to rest and recover as a beginner, mid-level, and experienced runner. How to tell if you’re getting enough rest. How to incorporate rest days into your training plan. How cross-training can benefit your training and support proper rest and recovery. Share our running tips with your friends!